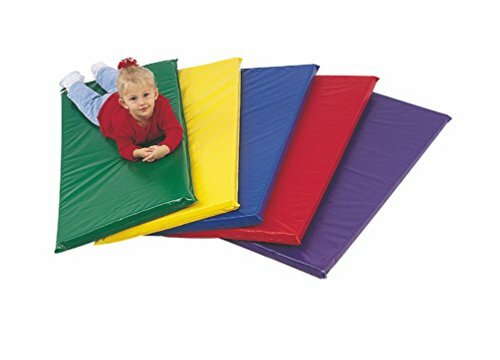 5-Pc Rainbow Rest Mat Set by Children's Factory at Baby Bouncers & Swings. MPN: CF350-034. Hurry! Limited time offer. Offer valid only while supplies last. CF350-034 Features: Product Type: -Rest mat. Color: -Multi-colored. Number of Items Included: -5. Dimensions: Overall Height - Top to Bottom: -2''. CF350-034 Features: Product Type: -Rest mat. Color: -Multi-colored. Number of Items Included: -5. Dimensions: Overall Height - Top to Bottom: -2". Overall Width - Side to Side: -24". Overall Depth - Front to Back: -48". Overall Product Weight: -14 lbs.